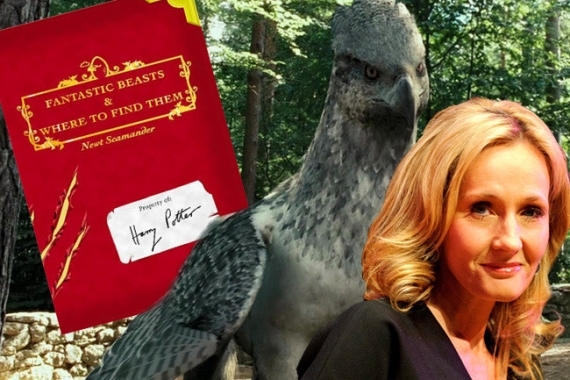 Harry Potter Movie Spin Off ‘Fantastic Beasts And Where To Find Them’ Soon To Become A Movie; Casting Auditions Underway? Plans of turning JK Rowling's Harry Potter spin off book “Fantastic Beasts And Where To Find Them” into a movie has been announced since last August in 2013. However, recent reports from WhatCulture said that there is an ongoing audition for cast and characters that will join the first movie spin-off. The media outlet further said that the spin-offs will be produced by Warner Bros in the next-five year period. The trilogy will also be directed by David Yates with David Heyman as the movie producer. Filming of the movie is said to take place sometime August. Studio filming will take place in Leavesden in the UK with some scenes filmed in New York. Cinemablend, cited some requirements by the talent agency, Acting-Auditions.org, for those willing to audition. First, they must have the necessary work permit documents to work in London and the U.K. Further, the talent scout also provided more details as to how to contact, Fiona Weir, the one who will be receiving headshots and resumes. No further details saying what specific roles the auditions are revealed yet. The only information to date is that the film is centered on the world of magizoologist Newt Scamander, the author of the book which three friends–Ron, Harry and Hermione has read. This means, though, that the story will be set seventy years before those three came into being, when Scamander is still 23. “Although it will be set in the worldwide community of witches and wizards where I was so happy for seventeen years, ‘Fantastic Beasts and Where to Find Them' is neither a prequel nor a sequel to the Harry Potter series, but an extension of the wizarding world. The laws and customs of the hidden magical society will be familiar to anyone who has read the Harry Potter books or seen the films, but Newt's story will start in New York, seventy years before Harry's gets underway,” JK Rowling said in a previous interview via iSchoolGuide. Updates about the script were first released on November saying that it is ‘mostly finished. However, graphic designers Miraphora Mina and Eduardo Lima, recently, hinted that the they are still developing the script, Cinemablend said. Meanwhile, a report from Snitchsneeker said that the rumors about the casting call are false as announced by Warner Bros and Harry Potter fans will have to wait for more updates.